High levels of precipitation were recorded in January in almosr every part of Greece. 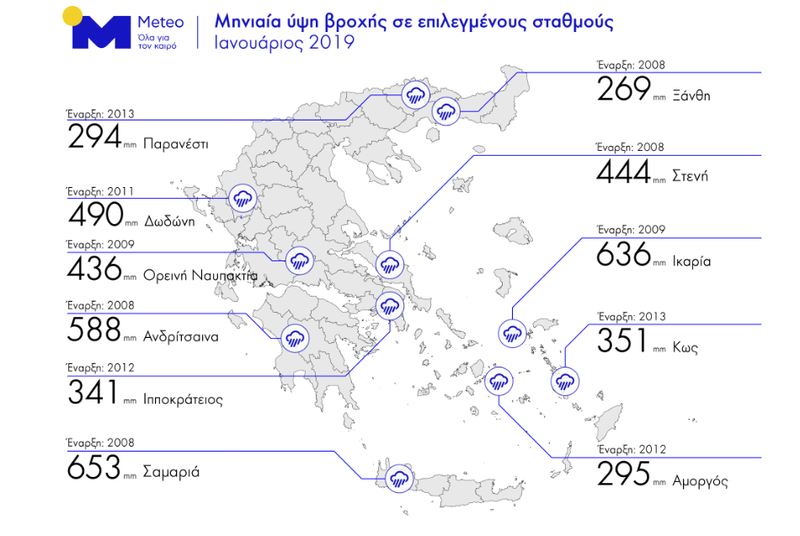 The graph from the national observatory / meteo.gr shows the recorded levels – the figures in brackets indicates the year records began. Samaria station in Chania shows record levels of precipitation falling during a month hit by successive waves of wet weather brought by low fronts named Raphael, Sophia, Telemachos, Ypatea and Phoibos.